When the sun sets things turn up as the pool deck becomes a world-class open air entertainment playground. 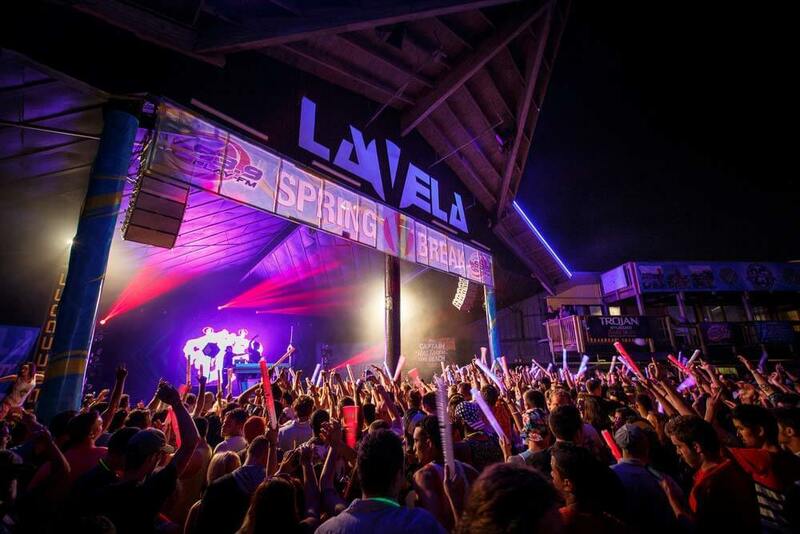 Nobody throws a Rally concert like La Vela. Live Music from some of the biggest names in the industry, chosen by bikers for bikers! 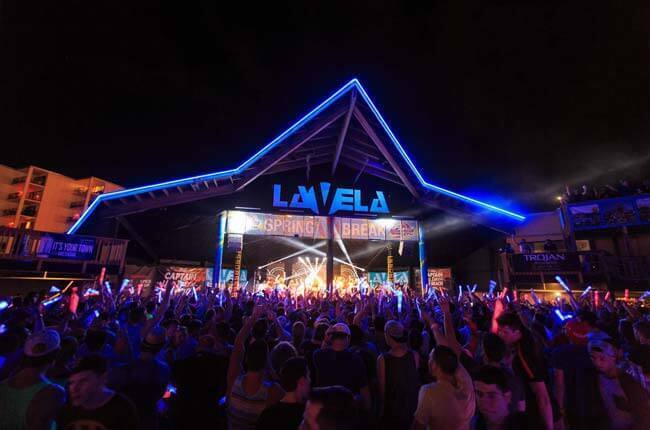 There’s not another biker-friendly concert experience like this anywhere – not on PCB, not even at another Rally… You can only find this type of massive party at Club La Vela’s infamous pool deck. The first night of concerts for the Spring PCB Rally goes LIVE and LOUD with Jasmine Cain! Jasmine Cain and her band of rebel rockers travel the country coast to coast providing high energy, stadium quality rock shows for motorcycle events! This cast of wildly entertaining characters captures the crowd from the first note and keeps the audience engaged from start to finish. With 8 JPF awards for superior songwriting, this band commands the stage and is power-packed with current Music City Mayhem Rock Guitarist Jeff Caughron and Female Rock Vocalist for 2 years in a row, Jasmine Cain. Music City Mayhem nominee, David Michael Thomas brings his theatrical style and intense musical ability to the table which completes the lineup. This band is unstoppable, undeniable, and unbelievable. Doors Open at 7pm. This concert is completely FREE for all bikers! The second night of concerts for the Spring PCB Rally goes LIVE and LOUD with BLACKFOOT! Friday, May 5th! If there’s one thing Rickey Medlocke can’t do, it’s sit still. The Blackfoot co founder and Lynyrd Skynyrd guitarist is constantly looking for ways to challenge his creative impulses, and his latest pet project has been to shepherd the next generation of his beloved Blackfoot. Under Medlocke’s steady guidance. Lead guitarist/vocalist Tim Rossi, drummer Matt Anastasi and guitarist/vocalist Rick Krasowski have been jamming together live under the vaunted Blackfoot banner for quite some time, and now they’re ready to release a hard charging new album on Loud & Proud Records, Southern Native, that beautifully meshes traditional tones with modern sensibilities. This evening of awesome LIVE SOUTHERN ROCK gets started early, with a special appearance by Jasmine Cain and her band of Modern Rock Bandits! This is a concert experience like no other for the Rally! Doors Open at 7pm. Advance Discount tickets only $10! The final night of concerts for the Spring PCB Rally goes LIVE and LOUD with JACKYL! Saturday, May 6th! The 1992 self-titled debut album went platinum and featured notable rock radio hits like “Down On Me,” “When Will It Rain,” “I Stand Alone” and, most notably, “The Lumberjack,” during which vocalist Jesse James Dupree performed a chain-saw solo. Dupree’s chain-saw escapades on album and in concert became one of many Jackyl trademarks. With the release of ‘Jackyl’ hit the road and barely left it since. THIS IS THE MOST REQUESTED BAND OF THE RALLY! YOU WON’T WANT TO MISS THIS EPIC NIGHT! This evening of awesome LIVE ROCK gets started early, with a special appearance by local biker favorites BIG BLOCK REBEL! This is a concert experience like no other for the Rally! Doors Open at 7pm. Advance Discount tickets only $15!